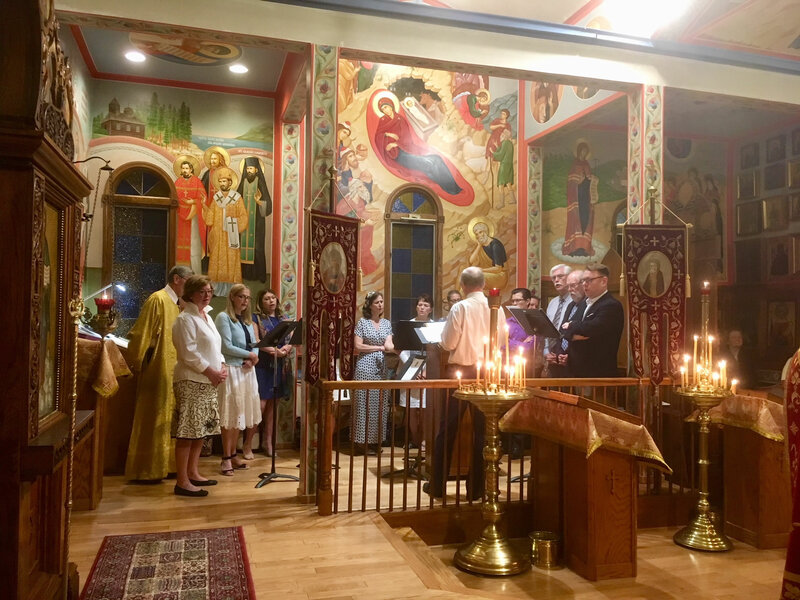 On the night of July 16-17, 2018, the centenary of the murder of the Holy Royal Passion-Bearers, St Seraphim Memorial Church to the Reestablishment of Unity Within the Russian Orthodox Church in Seac Cliff, NY, a polyeleos matins was performed followed by Divine Liturgy. 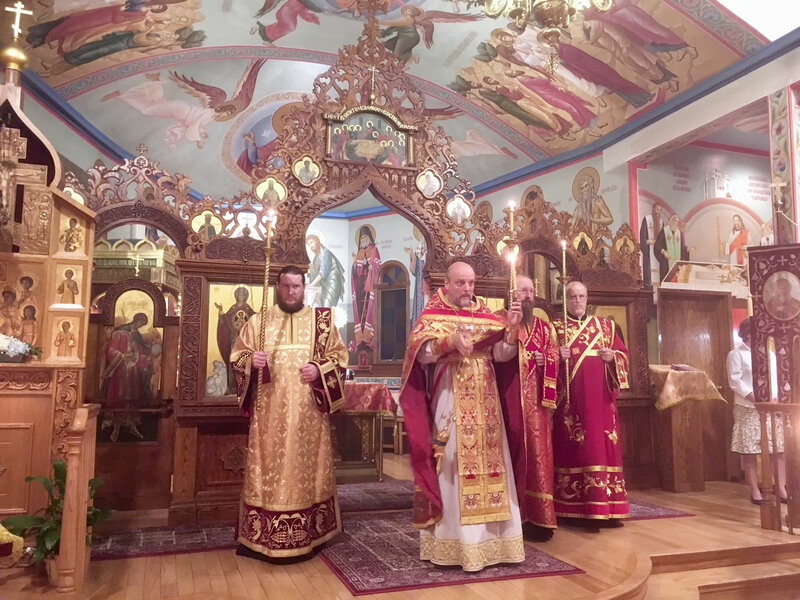 Protopriest Serafim Gan, rector of the parish, was joined in the services by Protopriest George Larin and Protopriest Alexandre Antchoutine, rector of neighboring Intercession Church in Glen Cove, along with Protodeacon Paul Wolkow and Protodeacon Eugene Kallaur, Archdeacon Peter (Karakozov) of the Eastern American Diocese and Deacon Kirill Gregoire. 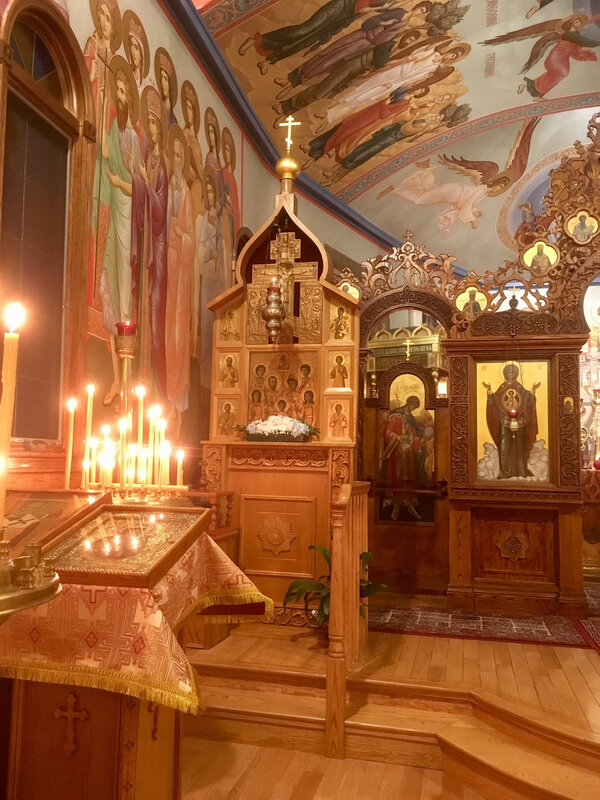 Praying in the altar was Priest Nicholas Kostur, Secretary of His Grace Bishop Longin of Novogracanica and Midwestern America (Serbian Orthodox Church). 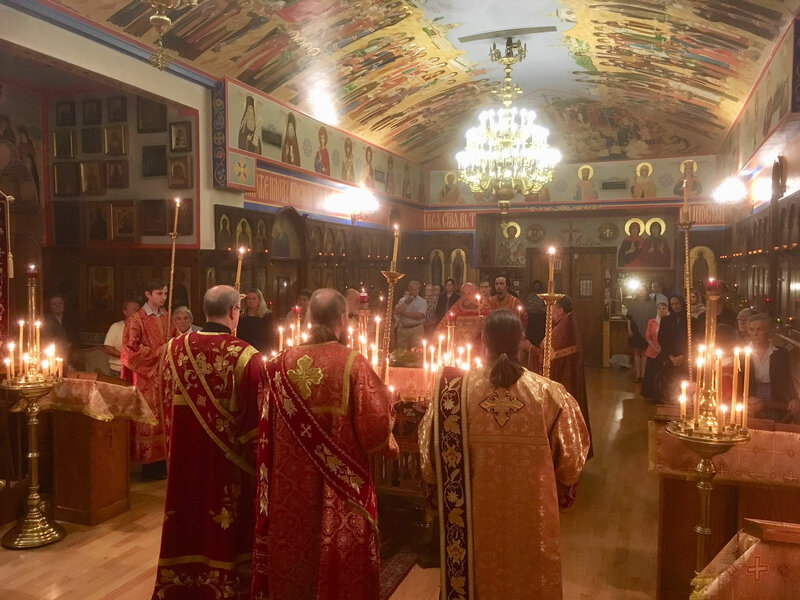 Icons from the Ipatiev House (the place of the execution of Tsar Nicholas II and his august family) belonging to the Royal Family were brought into the middle of the church during the services, along with a large icon containing the relics of St Tikhon, Patriarch-Confessor of All Russia, and of the martyrs of Alapaevsk: Holy Grand Duchess Elizabeth and her cell-attendant Nun Barbara (Yakovleva). 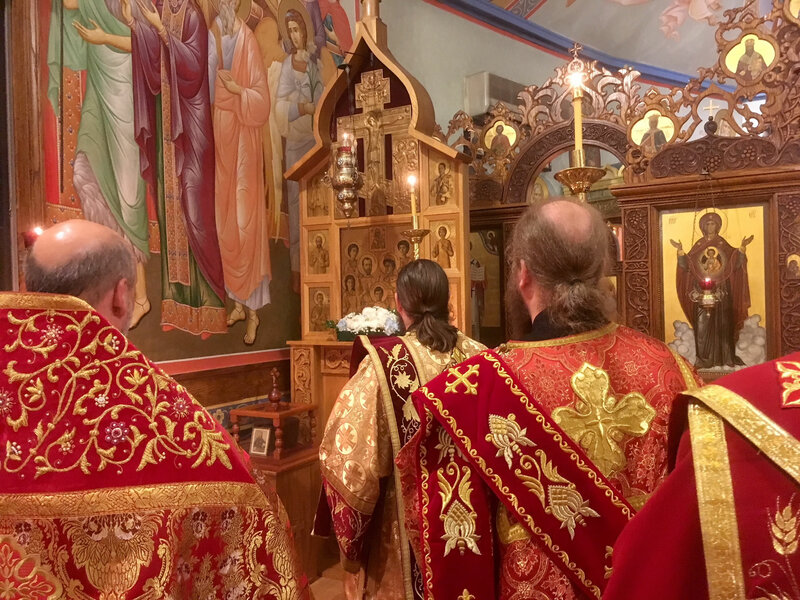 Before the singing of the magnification, the clergymen venerated the “Royal reliquary” with the icon of the Royal Passion-Bearers and Those With Them, with the censing of all the holy icons. 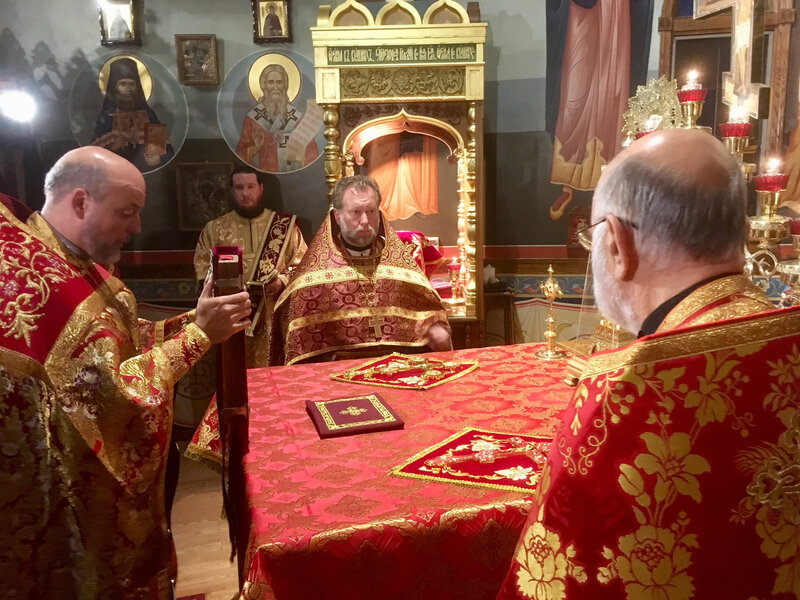 After Divine Liturgy, an altar-table Gospel published during the time of Tsar Nicholas II was read, and a spook with an inscription of His Highness was used to administer the Holy Gifts to the congregants. 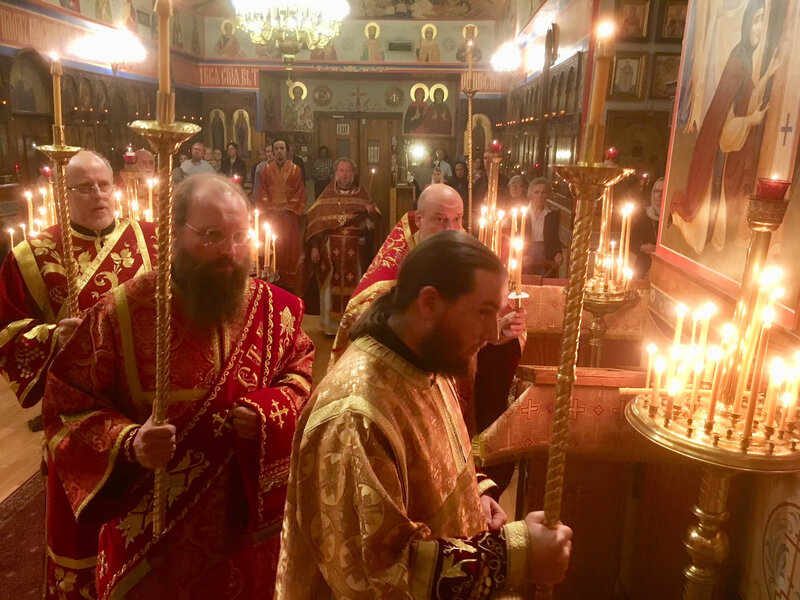 Nicholas Miro led the choir. 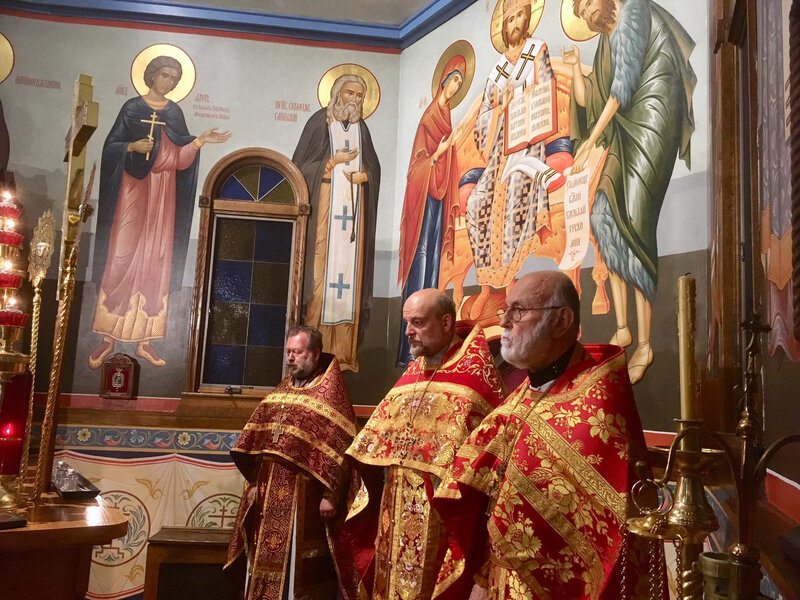 A laudation with the reading of kneeling prayers to the saints were then intoned.